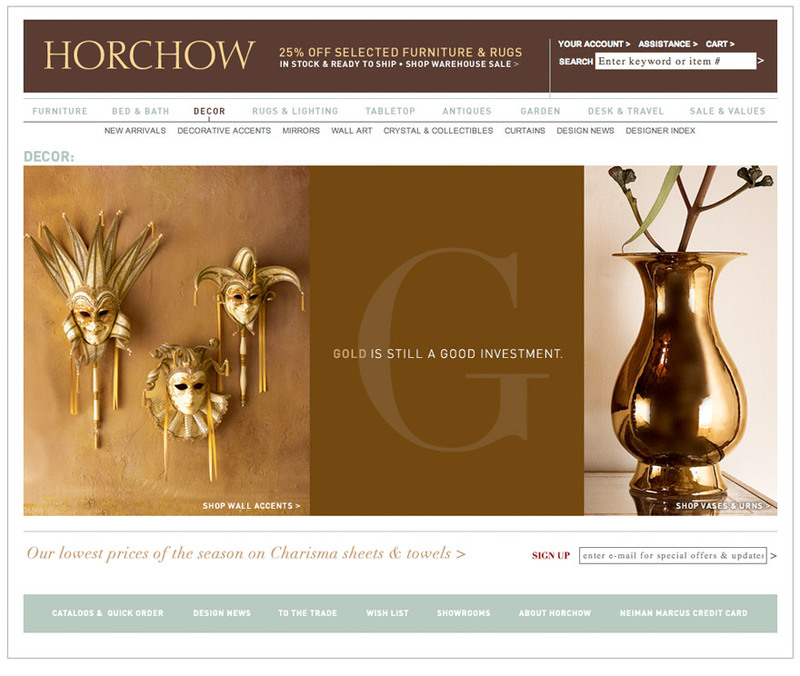 I redesigned the entire UX of the Horchow website with a focus on driving sales and bringing the vision of the Creative Director to life. 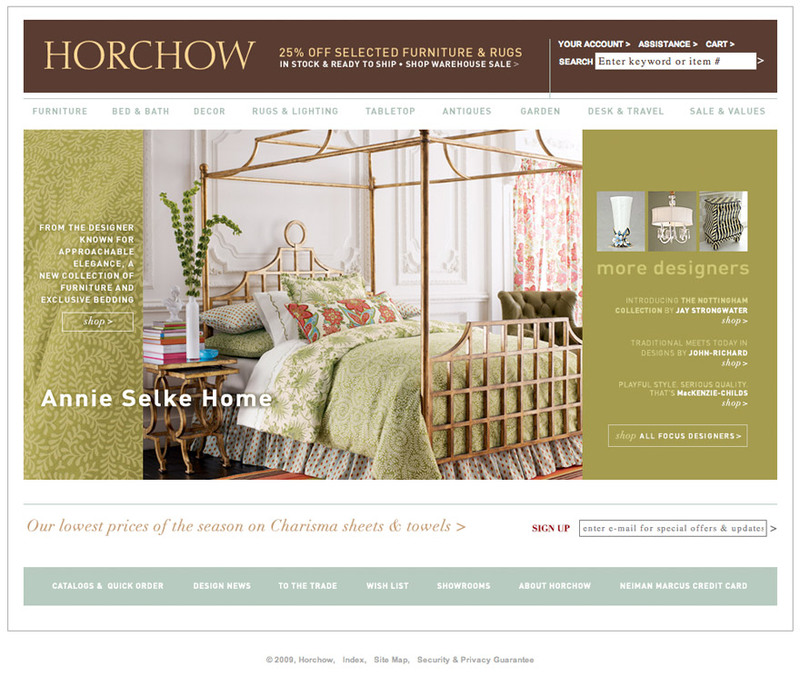 The Creative Director had a very specific visual aesthetic he wanted to implement for the Horchow Brand. I took his creative vision and translated that into a meaningful User Experience. 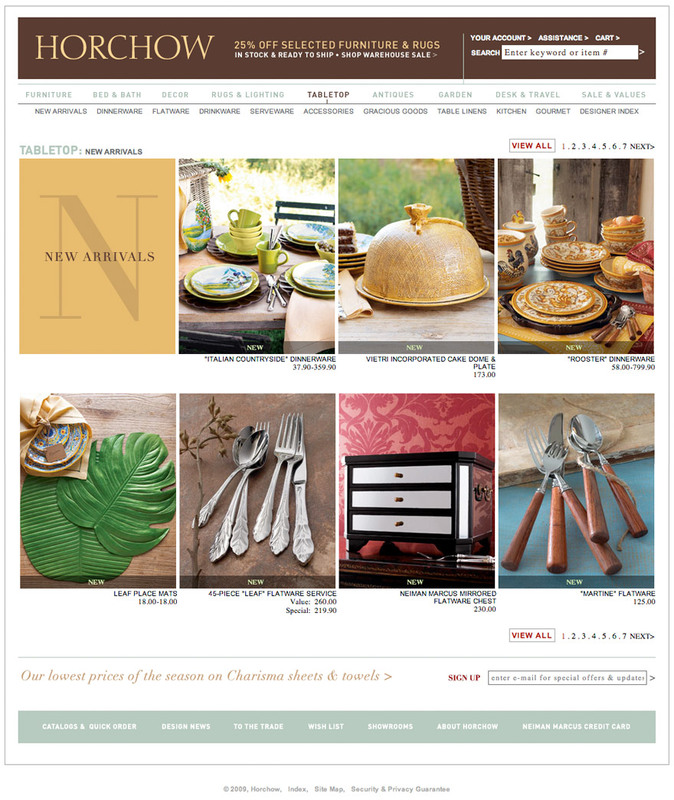 I took the Creative Vision he expressed in his print comps and used that as a baseline to create an effective modern e-commerce site. 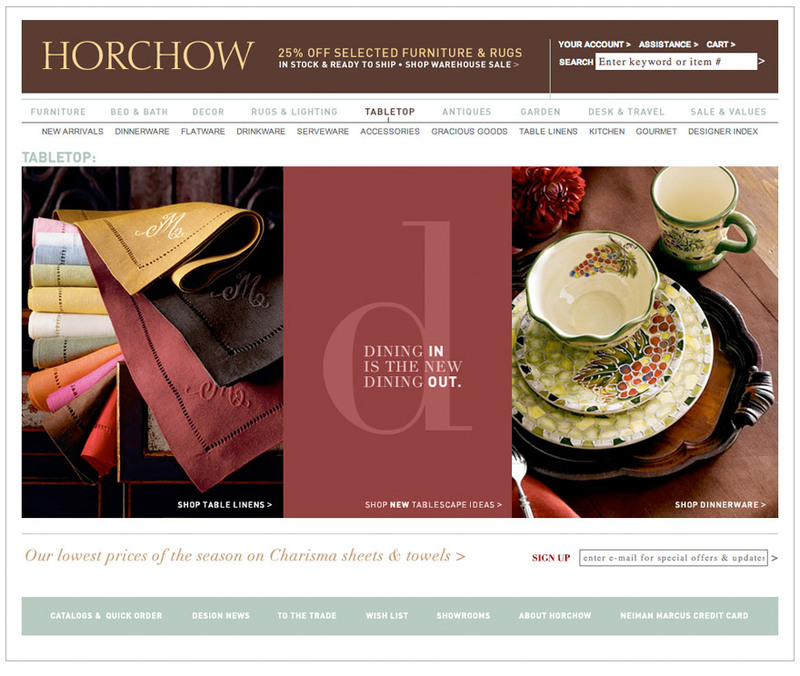 This approach proved to be very successful, increasing conversions and customer satisfaction. 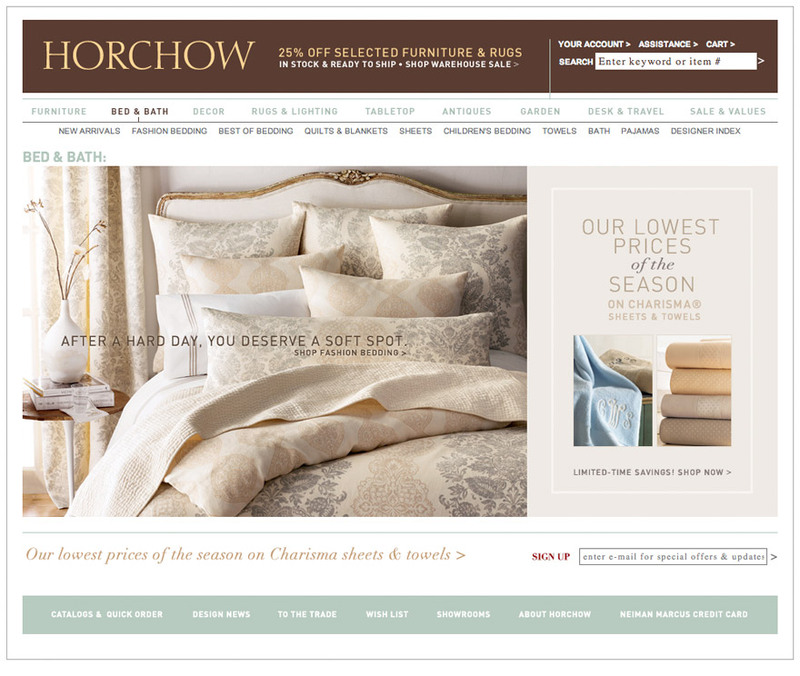 I created wireframes, screen flows, low/high res comps, prototypes and site maps.